This has to be close to the best in the business for a sport wagon with light off-roading ability. 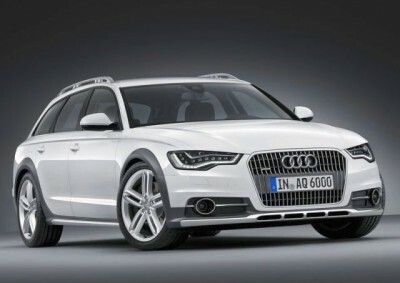 The new Audi A6 Allroad Quattro is a class act. Yes, it’s pricier than a Subaru Outback, however the driving experience is at a whole new level. Sitting on 20-inch alloys with a five-spoke design the low slung A6 Quattro station wagon has some really nice and attractive looks. Distinctively Audi, there is no mistake that you’re driving something special. There are practical reasons for owning a station wagon like the new A6 Allroad Quattro, and the main reason for all that extra space is for heading away on the weekend or holidays. Having as much luggage space as the A6 Allroad Quattro means that you can take the family on a getaway with no hassles at all. Audi have made a special roof luggage system that can fit plenty of extra gear when required, and this is rated for carrying up to 120 kg. With 565 litres of boot space, growing to 1680 litres with the rear seats down, you have yourself a real load hauler. The 2500 kg towing capacity is useful for when the boat is coming with you. The new car is both wider and longer than the car it replaces. A luggage compartment system is also a handy standard feature under the boot floor. You’ll always be comfortable travelling inside the swift new Allroad. Milano or Valcona leather are the two premium upholstery options, and the awesome looks and feel of the five-seater is simply gorgeous. Electronic front seats that are 4-way adjustable come as standard. Of course, you will remain as comfortable as possible no matter what the outside elements are up to, as the four-way deluxe climate air-conditioning equates to a lovely relaxed environment. 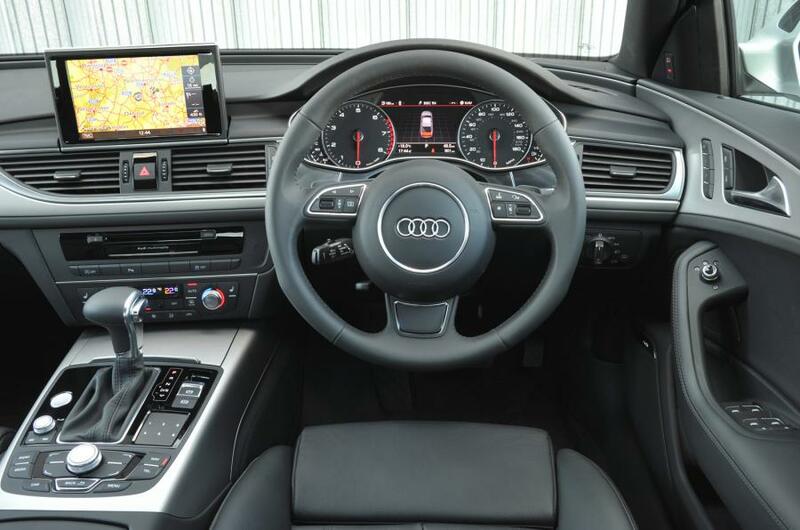 Premium technology inside the Audi A6 Allroad Quattro is set to impress you for years – not to mention the occupants who will be travelling with you. The Audi Music Interface can pump out some incredible sounds, thanks to the magnificent surround sound system. Your very own new Audi A6 Allroad Quattro acts as a WiFi hotspot. So sending your emails and texts are easy, you can check up on weather info, cheapest fuel prices in the area and navigation, and live stream your own music – to name but a few of the cool action features. The A6 Allroad Quattro also includes a range of optional technologies like the Matrix LED headlights which adapt automatically to the car’s surroundings. Audi Connect lets you and your passengers’ access the internet on the move. And then there is the Audi HDD MMI Satellite Navigation which includes picture book navigation. The high resolution 7-inch colour display is located in the instrument cluster and provides key information. The Colour DIS can also display information from optional equipment such as Night vision assistant and Audi Lane Assist. You’ve got to love the way safety is taken so seriously in vehicle manufacturers, and with the A6 Allroad Quattro, the Adaptive Cruise Control with Stop&Go featuring Pre-sense plus detects vehicles ahead using a radar sensor. The distance between the vehicles is kept more or less constant by automatic braking or accelerating. The blend of power, grip and ride quality does set the A6 Allroad Quattro apart. Audi provides an adaptive air suspension to the Quattro, and the blend of comfort and dynamic handling is superior. The permanent self-levelling function ensures the vehicle body remains at the right level even with a heavy load on-board. Phenomenal traction is available over all road surfaces. The Quattro system also enables the Audi A6 Allroad to tackle a bit of light off-roading – ideal for getting across the field to the best fishing spot or swimming hole. From the MMI, you can also select the suspension mode to give your Audi the precise handling qualities you want, including Automatic, Comfort, Dynamic and Lift. With two premium turbo diesel engines available in Australia, the 3.0 TDI performs with a whole lot of get-up-and-go. Creamy smooth, the TDI offers excellent power, with the standard 3.0-liter TDI having an output of 160 kW and 450 Nm of torque. A 200 kW 3.0 TDI engine is available, and if Australia gets the top of the range model, as they have in Europe, then there is also the 3.0 BiTDI Quattro which has phenomenal performance in the form of 235 kW via twin-turbo diesel technology. The 3.0-litre TDI V6 is coupled to a seven-speed, dual-clutch transmission. No manual option is available. The Quattro all-wheel drive system splits the torque 40/60 front to rear. Safety in the Audi A6 Allroad Quattro is of a high level, and the five star safety includes: Audi Parking System Plus, cruise control, an auto-dimming rear-view mirror, auto light and rain sensing systems, Electonic Stabilisation Control (ESC), front airbags with front passenger deactivation, front side airbags, curtain airbags, an anti-theft alarm, seat belt monitoring systems, keyless go, a tyre pressure loss indicator and hill-hold assist – excellent for slippery slopes. Drive with distinction and drive the latest Audi A6 Allroad Quattro. For any more information on the Audi A6 Allroad Quattro or, for that matter, any other new car, contact one of our friendly consultants on 1300 303 181. If you’d like some fleet discount pricing (yes even for private buyers! ), we can submit vehicle quote requests out to our national network of Audi dealers and come back with pricing within 24 hours. Private Fleet – car buying made easy!